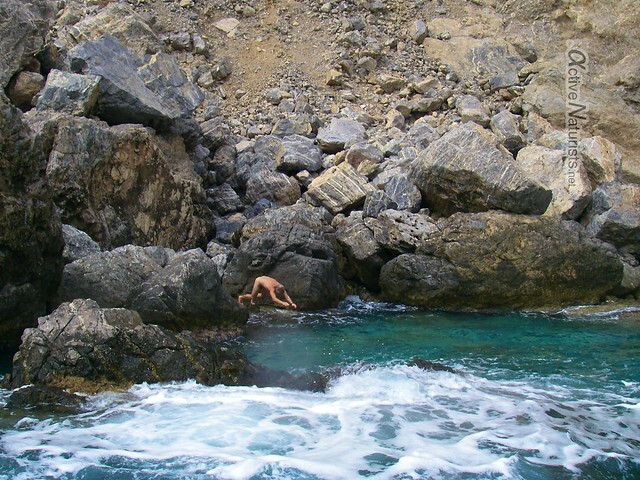 Almost all beaches in south-west Crete are clothing-optional, except perhaps only central town beaches. Many of them are connected with famous E4 hiking trail, so you can walk between them… or maybe swim? and also a plenty of umbrellas from the tavern. We spent most of the time swimming. The sea water is very clean and has intense dark-blue color. 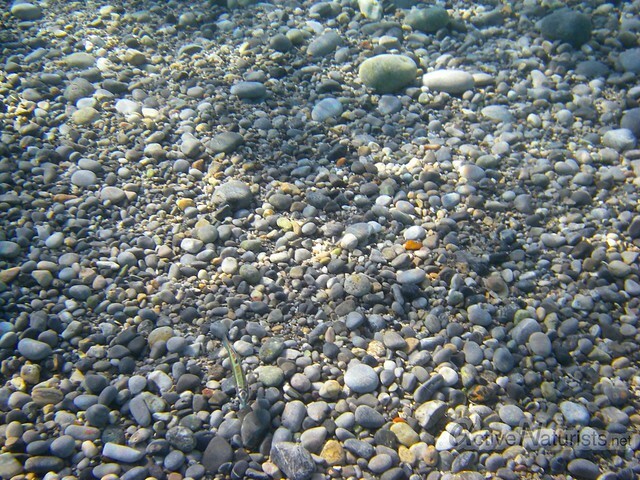 Unless you hit the freshwater spring at the water edge, it is also very warm; and certainly, this beach has one of the clearest waters I’ve seen. Even late in the evening it was so warm, we couldn’t help laughing about advice that we received on the previous day that we should take warm clothes and gloves for the night. At night, thanks to the cliffs surrounding the beach, it is very quiet and dark there, because no light comes from neighbouring town. Perfect to watch stars! As there was no moon, they were so bright that Milky Way even reflected in the water! And when we looked in the water, we saw that it was full of flashing “stars” itself. Bioluminescent plankton was so abundant (at least in the end of September, when we were there), that anytime I moved my hand in the water there were flashes around, as these organisms respond to mechanical disturbance with glowing. This is why they also flash a lot, when waves break onto the shore. I would highly recommend to swim at night (with goggles) to see how the water glows around you and your swimming buddy. 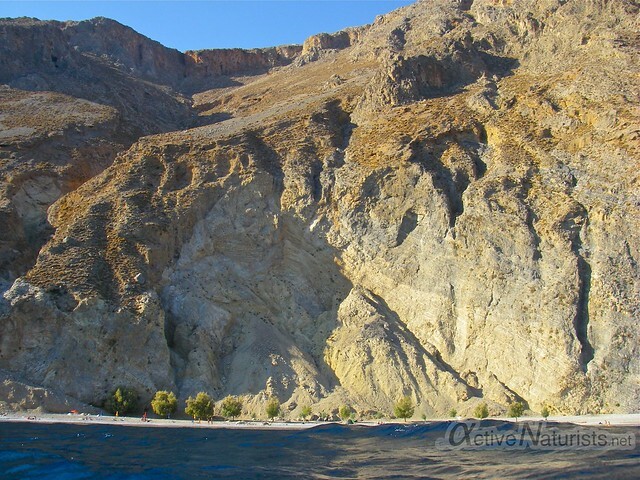 However, be careful with the above mentioned cliffs – don’t build you camp to close to them, because once in while some rocks were falling down, sometimes because of the goats jumping. 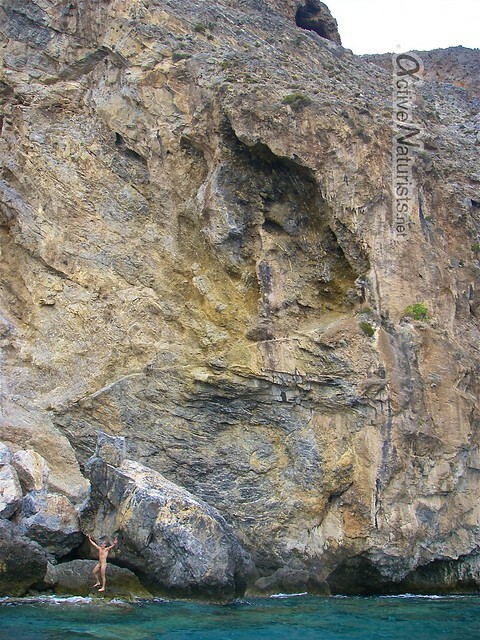 They like coming to this beach to drink fresh water in those man-made holes, and you can see their incredible ability to walk on nearly vertical cliffs. and then were diving from them. To get to Glyko Nero beach you may use a small former fishing boat which comes from Hora Sfakion directly to the tavern twice per day at about 10:00 and 17:00, or like we and many hikers, come by E4 hiking trail. 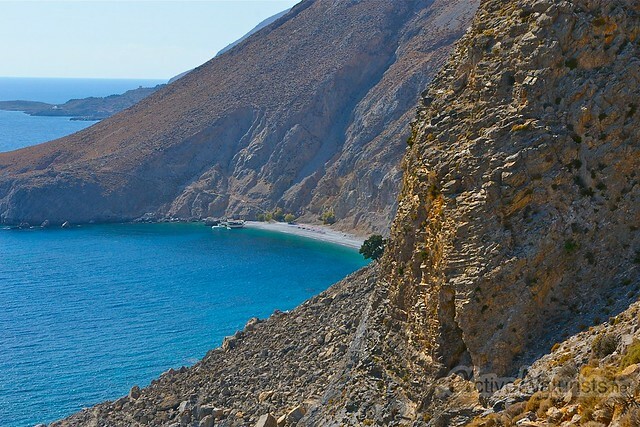 From Hora Sfakion, you can also first go by car in the direction of Loutro till the sign E4 Glyko Nero/Sweet Water Beach. However you get there, you’ll surely love this beach!